Seattle is already a big city, but it is also the fastest-growing of all major cities in the United States. Some of the country’s major companies are headquartered in Seattle, like Starbucks and Amazon, providing many excellent job opportunities. 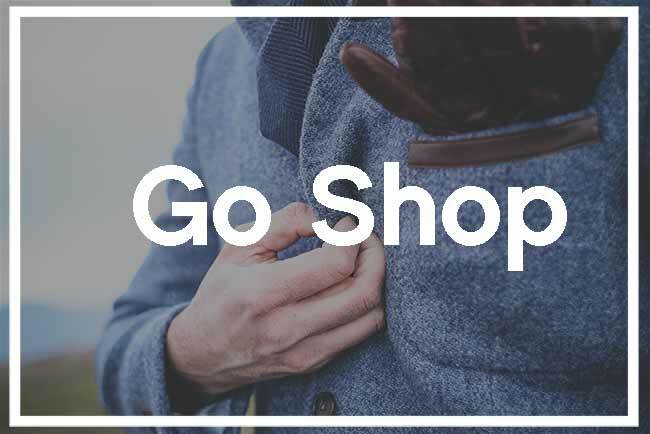 At the same time, the city is home to amazing dining and entertainment opportunities, while being flanked by beautiful natural landscape that is a playground for outdoor enthusiasts. Being such a popular place, the real estate market is thriving in Seattle. Many homes and apartments are quite small, even if they are considered high-end. The way you decorate your home is very important when you are working with limited space. 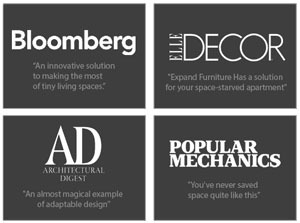 Expand Furniture sells Seattle space saving furniture for tiny living that can help you make the most of your space without sacrificing the style that makes it your own. For example, you can add the extra “rooms” that you want such as a home office or a guest room by simply choosing the right furniture to help you easily adapt the space for different needs at different times. Transforming tables are ideal for such purposes. You can convert your unused guest room into an office when you aren’t entertaining, changing an end table into a desk. Or you can convert a small sitting space into an extra dining area for parties by transforming a coffee table into a dining table. Our transforming tables and other transforming furniture including sofa wall beds and wall beds with desks make the space do double duty so that you don’t have to clutter up the area with multiple pieces. You save money and space. At the same time, you can create the kind of décor you want without worrying about losing the functionality of the space. 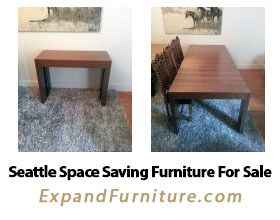 Expand Furniture ships to customers throughout Seattle. Explore our online catalog to find the Seattle transforming furniture that you need today. We deliver our products safely to Seattle customers from our near by Vancouver warehouse or our US based North Carolina Warehouse. Every shipped product is completely insured for damage. We try to make things easy for you. Most of our tables and chairs are fully assembled and ready to use out of the box. As an online company we strive for excellent customer service. 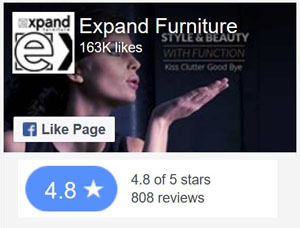 Learn more about Expand Furniture or read our frequently asked questions.